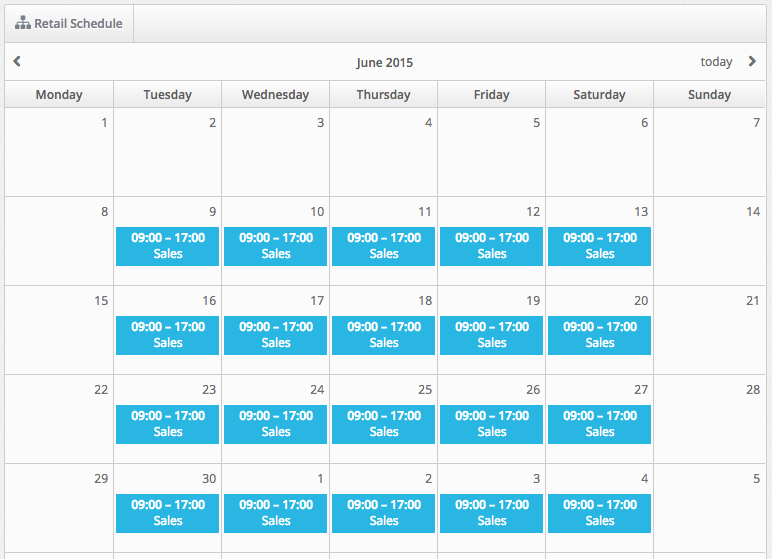 Rotations are a great way of creating schedules for employees who generally work a set pattern of shifts. Rotations can be used for weekly rotations, monthly rotations, or rotations of any length that suit your business requirements. Before you assign a rotation to an employee's schedule, the rotation needs to be created first. For more information on creating rotations please read our article on Creating a Rotation. 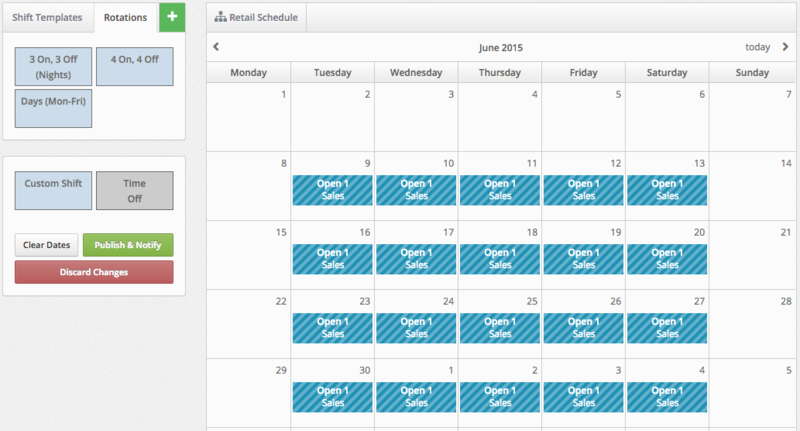 To schedule a rotation for an employee, you will need to go to their personal user profile. To get to the user profile, select the Users tab from the top navigation bar. 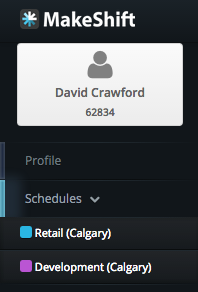 Click on the name of the employee that you will be scheduling the rotation for. On the left navigation bar, click the name of the department that you will add the rotation to. (Employees who work in just one department will only have one schedule). 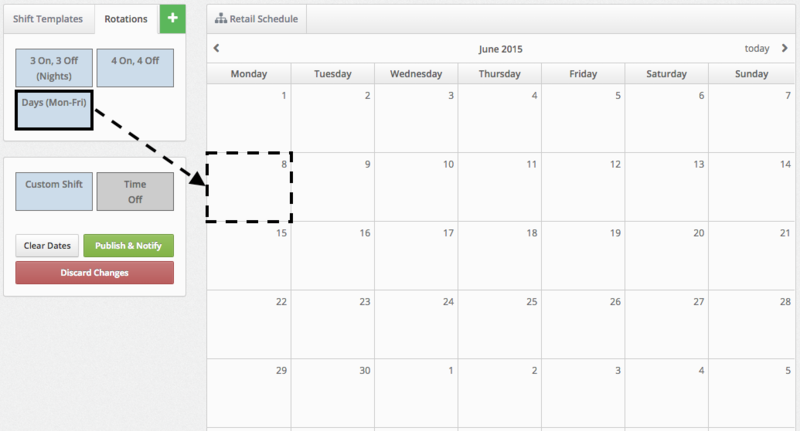 Click the Rotations tab to the left of the calendar. Drag the Rotation you would like to add to the employee's schedule and drop it on the calendar on the day you would like the rotation to begin. Remember what day you chose as Day 1 of the rotation. We recommend that Day 1 of the rotation corresponds with the first day of the schedule week (Ex. Sunday or Monday). 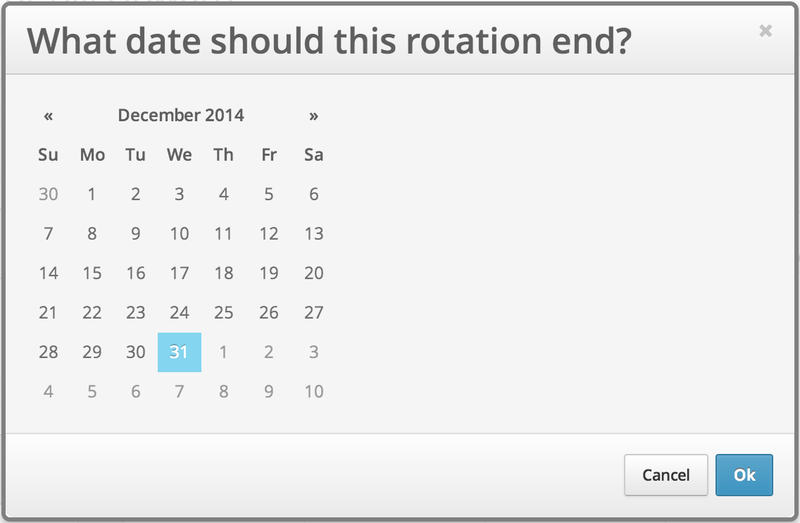 Select the date when you would like the rotation to end and click the blue Ok button. (The further into the future this is, the more time it will take for the rotation to load). Once the rotation has loaded, you will see diagonal lines over all of the shifts. This is letting you know that this is a pending schedule that has not yet been saved or published. 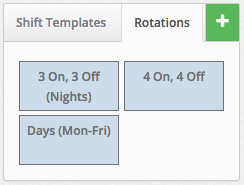 Click the green Publish & Notify button to save the rotation and notify the employee of their new shifts. The published shifts will now be solid blue and the employee will see their new rotation on their MakeShift app.